Refugees. That’s a word we’ve been hearing a lot lately. Have you ever met a refugee, or is it an abstract concept in your mind? Have you considered how you can help during this crisis? 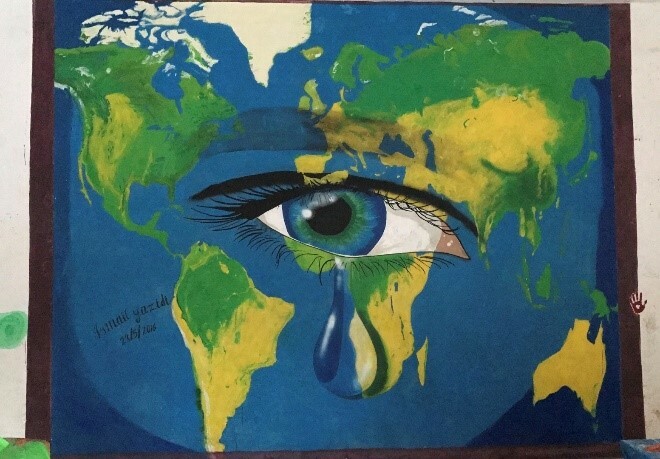 My name is Elaf Al-Wohaibi and I am a second-year student at the University of Connecticut School of Law with a human rights and social justice focus. 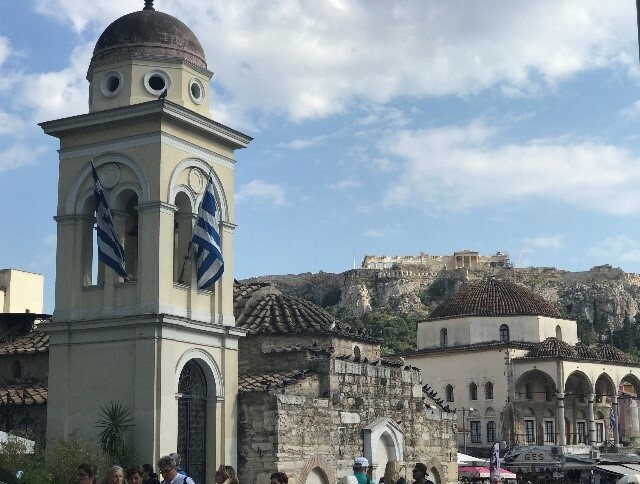 With the support of the Human Rights Institute, I was able to travel to Greece this past summer as an intern for a student-led organization, Connecticut Anchor. 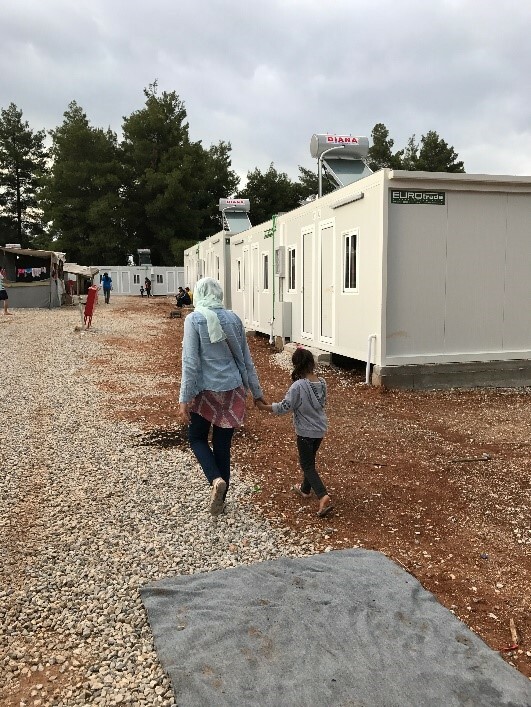 CT Anchor’s goal is to provide humanitarian support to refugees in Greece, as well as aid resettled families here in Connecticut. A large component of CT Anchor’s mission is human interaction by being physically present on the scene to lend the support necessary. Over the past year, being active with CT Anchor locally has meant translating, providing transportation, informing families of resources available, or simply sitting down and enjoying a warm meal together. Listening to individual stories has been very touching; it inspired me to do more. Therefore, when CT Anchor posted an application for their annual trip to Greece, I pounced on the opportunity. Twenty-four hours after completing the last final of my first year of law school, I boarded a plane at Logan Airport. One day later, I arrived in Athens, Greece, with boxes of donated clothing and medical supplies in tow. My colleagues from CT Anchor picked me up at the airport, and told me our full agenda for the day: scouting a neighborhood picnic by a squat and a quick shopping trip at Monastiraki Square for specific items requested by camps. If you’re wondering what a squat is, don’t worry, I was in the same boat. Squats are abandoned buildings where many refugees have sought shelter in Athens. Many of the refugees there do not have proper documentation, and therefore don’t receive any benefits from the government. Squats are often controlled by anarchists, who are aiding the refugees by supplying food and medical attention. While technically illegal, the Greek government is aware they exist and generally turns a blind eye. 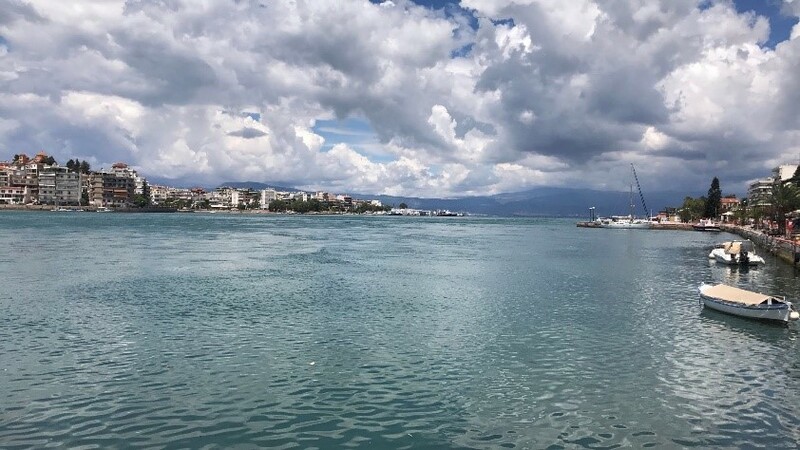 After enjoying some delicious falafel at the neighborhood picnic, and looking for prayer rugs at Monastiraki Square, we headed to Chalkida, where CT Anchor has stayed during annual trips to Greece. Chalkida is a small town on the island of Euboea, about an hour north of Athens. Because of its beautiful location on the Aegean Sea, the town attracts many tourists. However, it is also a perfect central location between three refugee camps: Ritsona, Oinofyta, and Malakasa. Each camp has different needs, and we tailored our support accordingly. For example, in Oinofyta, CT Anchor volunteers with medical backgrounds helped at the clinic on site. In Malakasa, we renovated an abandoned warehouse to be used as a boutique for donated clothing. In Ritsona, a camp near and dear to our hearts as it was our second time visiting, we purchased food in bulk and helped with distributions. 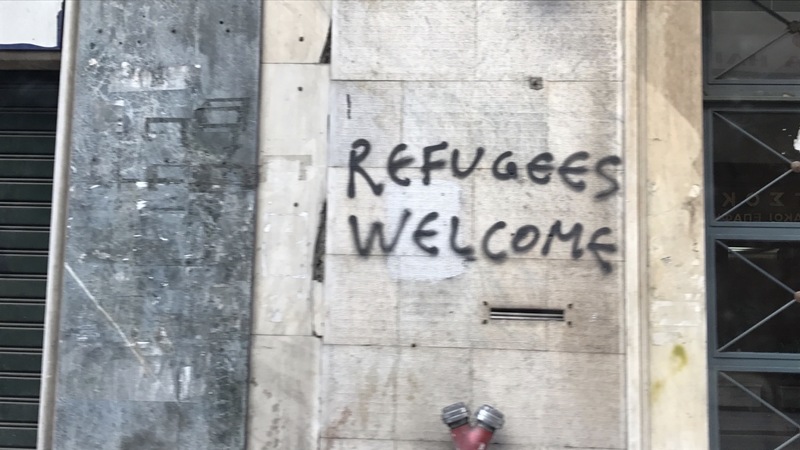 Street outreach in Athens: refugees from nearby squats come for a warm meal, legal support, medical exams, library on wheels, and mobile laundry machine. Children play games & enjoy a movie. 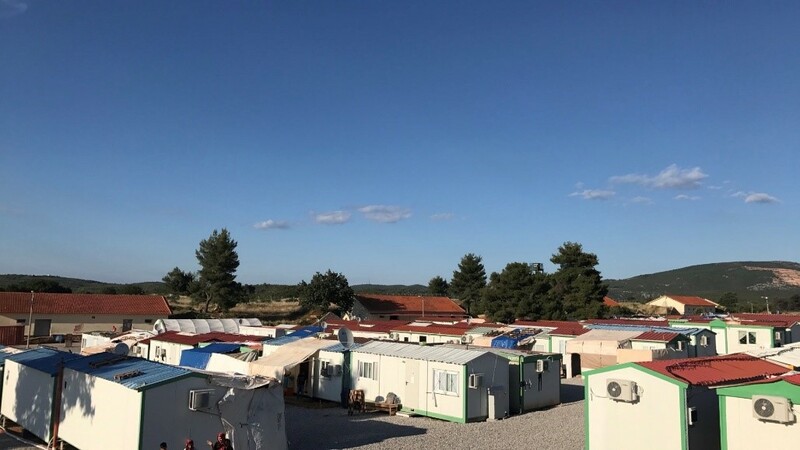 I had initially planned on doing legal work, either by partnering up with the IOM and UNHCR offices at the camps, or by working with lawyers at local organizations like Khora in Athens. However, I soon realized that I was more needed conducting community outreach at different locations, speaking to individuals about their needs, and doing my best to meet them with the resources available. 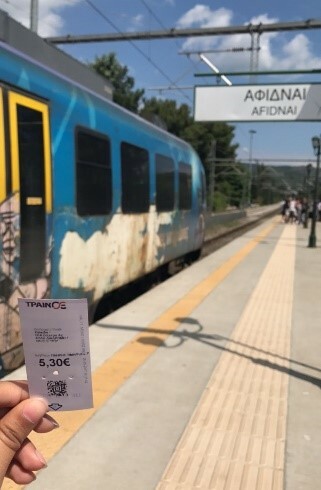 This sometimes meant taking the train down to Athens and bargaining with Arab vendors to purchase cultural foods for the first day of Ramadan. Other days, it meant translating at a domestic violence workshop at Ritsona. 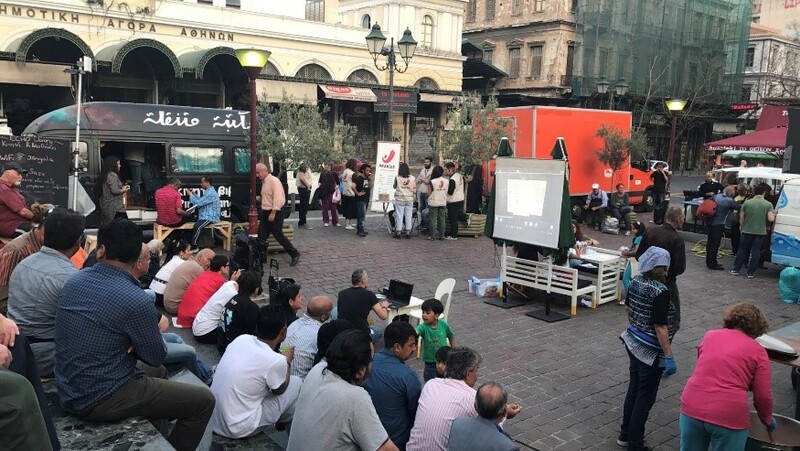 Because the ability to practice religion openly is curbed in Greece, it took us an entire week of networking and searching to find a place that sold copies of the Qur’an in Athens. This was an item requested across the board, in the various refugee camps and squats we visited. In order to help the squats on a larger scale, CT Anchor teamed up with the Jafra Foundation, an organization located in Athens. 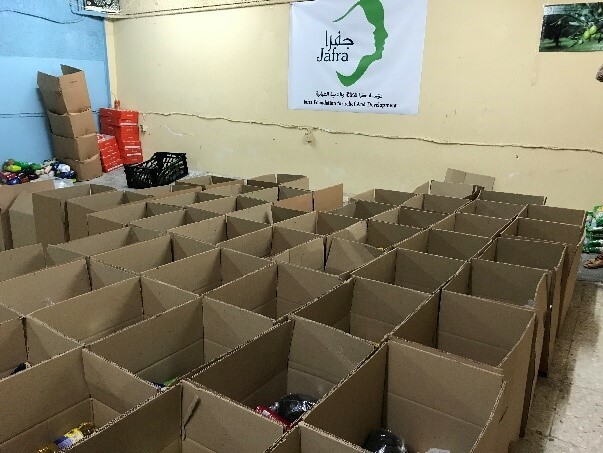 CT Anchor was able to raise ‎€12,500 for the Ramadan Project, which was used to assist 1,900 families by providing food and basic necessities during the month of Ramadan. 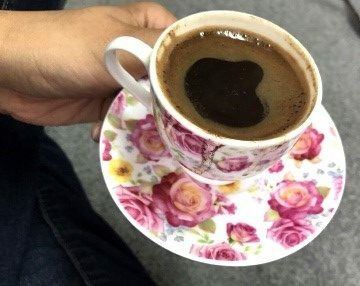 Sometimes, our greatest method of support was accepting an invite for coffee at someone’s container and listening to their stories. Being able to relay their needs to like-minded individuals is something many of them are deprived of. Connecting with us based on religious, ethnic, or cultural backgrounds allowed them to open up. Some spoke of the oppression they faced at the hands of the Syrian government, others spoke of being driven out of Afghanistan by an armed mob. With our days sometimes starting at 9 AM and ending at 2 AM, it was nice when we had a chance to walk by the pier in Chalkida or attend a soccer game to cheer the Ritsona team. Grabbing a snack at the pop-up restaurant in Ritsona was usually the highlight of our day; there, an older gentleman from Syria prepared the most delicious falafel, lahmajoun, and lu’met eladhy I’ve ever tasted. It was also difficult to shake off the frustration when witnessing the disconnect between the scenic island towns and the run-down camps. 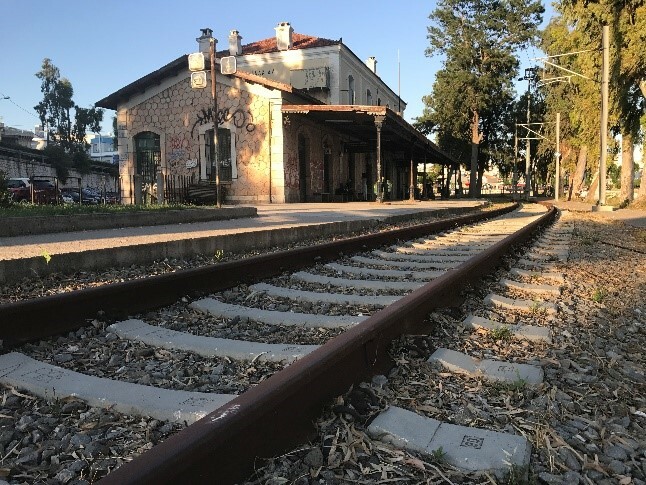 Tourists enjoying meals at lavish Italian restaurants in Chalkida seemed oblivious to the people sleeping hungry less than fifteen minutes away. It was amazing to witness the generosity of people who have very little to give. You could not walk into a camp without receiving an invitation for coffee, tea, or dinner within five minutes. When we mentioned the conditions of the squats to people residing at the camps, they said they were aware of the situation, and had been collecting food to send to them monthly. Walking around Ritsona with a new friend. This trip has taught me many lessons and fueled the fire within me to continue aiding refugees and underserved populations. 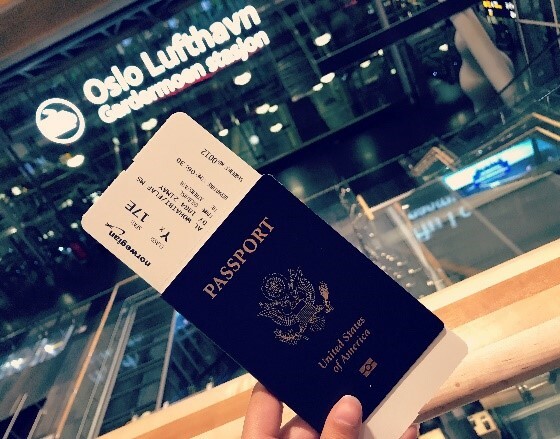 After returning to Connecticut, I have begun taking Immigration Law and participating in the Asylum & Human Rights Clinic. I hope this will provide me with the legal knowledge I need to help refugees escape oppression and thrive in their new environments. Thank you for taking the time to read about my experience, and I hope this has inspired you to do what you can to help refugees, especially the ones here in Connecticut.